The population of the town of Susanguerd (southwest Iran) is fleeing, some to the town of Ahvaz, others to the heights of the province to escape advancing waters. The situation is tragic in the flood-affected areas of Khouzistan province in southwestern Iran. “Floods are rushing into Khouzistan from six other provinces in the country,” said Hassan Rohani’s Interior Minister Abdolreza Rahmani Fazli. 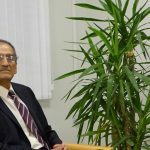 The situation is alarming in the Karkheh and Dez rivers and in the Karoun River, declared the head of the Department of River and Coastal Protection and Engineering, affiliated with the Provincial Water and Power Company. The water flow in the dams is at its maximum, added the same source. 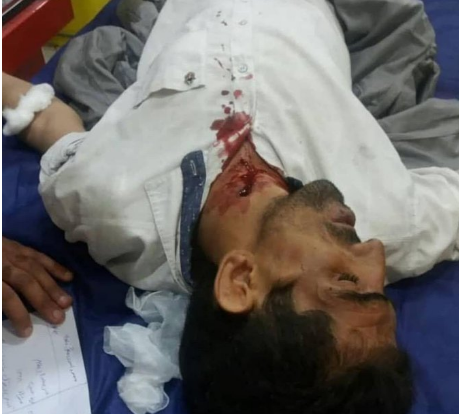 Angry locals in villages around the southwestern town of Susangerd and Dashte Azadegan in Khuzestan province clashed with forces of the Islamic Revolutionary Guards Corps in the early hours Wednesday Apr.3,2019. Early morning on April 3, sounds of intense gunfire were heard as IRGC units opened fire on the local population, reports indicate. The IRGC sought to open flood dams & direct waters onto people’s farms. The IRGC opened fire, killing one man and wounding 5 other civilians. A man identified as Aboud Rabie, who seemed to have been shot in the neck, passed away. A number of IRGC members were also wounded. Mr. Abud Rabie, killed by IRGC forces. Public anger is mounting in Iran after 16 days of severe flooding in almost all of Iran’s provinces. The flood-stricken people who have lost everything blame the regime for the scope of the damage and its incompetence in providing relief. 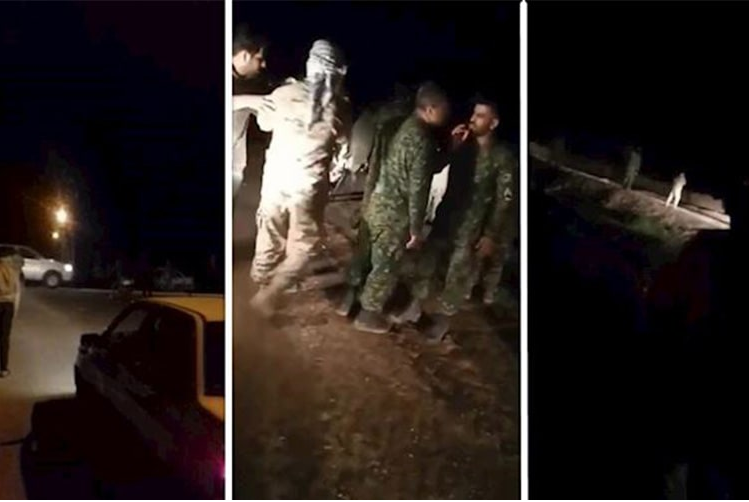 A video published today on social media shows locals cursing a senior military IRGC officer, who currently is the secretary of the Expediency Discernment Council, while visiting flood-stricken areas in the western town of Poldokhar, hit very hard by the floods. “What are you looking for here?” a man shouts at Mohsen Rezaie. “Get lost animal! Get lost you crooks! you dishonorable person!” the man angrily shouts. Another shocking video published on social media, and also the IRGC affiliated Tasnim News Agency yesterday, shows Mohammad Pakpour, the head of the Revolutionary Guard Corps’ ground forces, reporting to his superiors on the scope of the flood devastation. Pakpour says that locals were so angry that no official dared go near the flood sites. “They said for two or three days that the flood was coming, evacuate, without providing any (aid) without, for example, giving them a tent. And when they do evacuate where should they go? It’s too cold in the mountains. Now the water has engulfed everything, there is no road, only an open gas road… Many villages, most of the villages have no roads, there’s nothing, some food has been taken there with helicopters… Power has been cut off because all the cables have fallen,” he told the Chief of Staff of the Armed Forces, IRGC Brigadier General Bagheri over the phone. “There are too many problems, there is no management. No government official dares to go there, it is terrible. God is the witness that (the public) is very angry… I have just been able to get out of their way. They are very upset. They are very angry. Well, they have a very terrible situation,” he added. Another Revolutionary Guards-affiliated news agency, Fars, published a video of flood-stricken locals in Khuzestan complaining about poor facilities provided by the government. All of this comes while Iran’s police force once again reiterated that keeping order and security in flood-stricken areas was the police’s most important priority. In another event Iran’s Foreign Minister Javad Zarif had claimed in a tweet Aril 2 that Mr. Maurer the president of the The International Committee of the Red Cross (ICRC) Peter Maurer told the UN Security Council U.S. sanctions are preventing the Iranian Red Crescent from providing effective relief assistance to the victims of two-week-long floods, which have brought unprecedented destruction to many regions in Iran. Nevertheless, on April 3, Ignatius Ivlev-Yorke, public relations officer of the ICRC has denied remarks attributed to its president by Iran’s Foreign Minister Javad Zarif, about U.S. sanctions impeding flood relief assistance. It seems that Europe, American countries and also countries in the region are getting tired of the Iranian regime’s hostile policies. Even Russia and China, which are diplomatic supporters of this regime, have not stepped forward to contribute any aid to the flood victims. Iran’s diplomatic isolation is the consequence of decades of the regime’s export of fundamentalism and terrorism to the region and the world. This policy has obstructed efforts to send any international humanitarian relief to the Iranian people especially when tens of thousands of people have become homeless — a great human and financial calamity. The rulers are showing true colors of what they are concerned about. Corruption seeks to feed itself rather than true care of their people in such a time of great need !